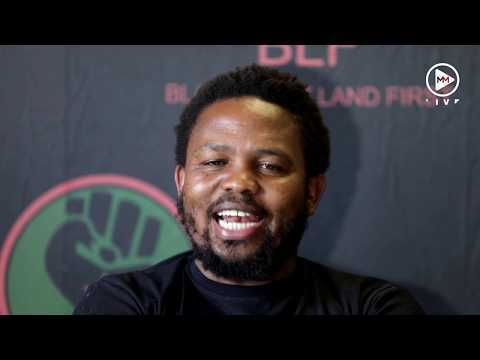 Image: Masi Losi Black First Land First President, Andile Mngxitama clarifies the comments he allegedly made against the killing of white people. The call to kill five white people for every black person killed has been taken out of context, says Black First Land First. Even though the party is doubling down on its stance that it will kill five white people for every black person killed by what it terms are "agents of Johann Rupert", its president Andile Mngxitama said on Tuesday the comments are a warning to billionaire Rupert. At the same media briefing, Mngxitama said the party had roped in former members of Zimbabwe’s liberation army to train their party members in combat. Mngxitama on Tuesday said Rupert had confessed to having a private army of assassins in the taxi industry. This, Mngxitama said, was a direct threat to black people from Rupert. “Johann Rupert is explicit. He says what I have in common with a Jabu is that he is a chairman of a taxi association and that I, Johann Rupert, one of the first partners I have are taxi associations. Before Mkhari he says I have an army. I have an army. This is what Johann Rupert says,” Mngxitama told reporters. Mngxitama said Rupert’s comments were tantamount to the Remgro owner saying he will set his taxi association army on any black people who come after him.